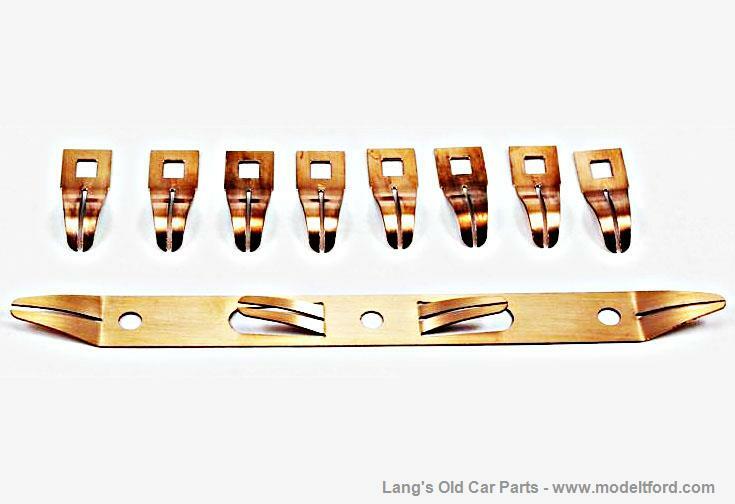 These Coil Box Spring Contact Sets fit the late 1925-1927 metal coil boxes that are mounted on the engine. 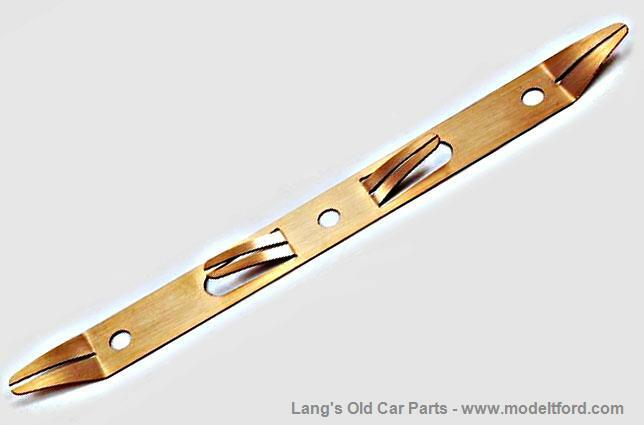 The copper contacts are made exactly to Ford drawings on file at Lang's Old Car Parts, Inc. 9 piece set. The bronze metal chemistry and temper are exactly the same as originally supplied by Ford and the parts are carefully formed to the correct shape per Ford drawings to insure proper electrical contact with the coil unit side and bottom terminals. ***The cheaper, lesser quality contacts available on the market do not the above qualities and will allow the coils to lose contact as you travel down the road. These cheaper contacts also do not have the necessary square holes that allow use of the proper terminal bolts. For this reason we have discontinued selling them.